Dr. Robert Fraczkiewicz has 20 years of experience in predictive molecular modeling and related software development (ADMET Predictor® and ADMET Modeler™). He joined Simulations Plus in 1998 and currently holds a Research Fellow position. Three years of that period were dedicated to the PBPK modeling of drugs (GastroPlus®). Before that he was a Post-doctoral Fellow in the laboratory of Prof. Werner Braun at the University of Texas Medical Branch in Galveston, TX, where he conducted research and developed software for modeling biological macromolecules (programs FANTOM and GETAREA). 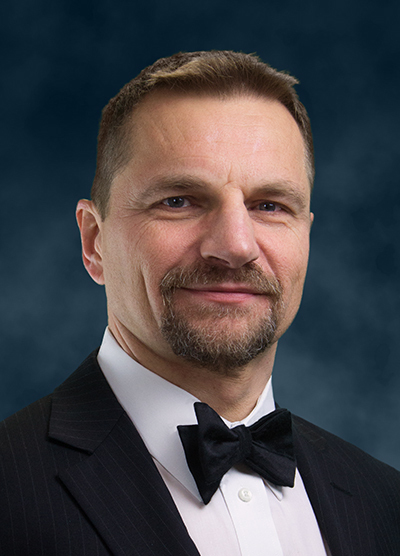 Dr. Robert Fraczkiewicz has received his PhD degree in Computational Chemistry and Spectroscopy from the University of Houston, laboratory of Prof. Roman Czernuszewicz, in 1996. Besides his professional work and family, Robert is occupied with his numerous hobbies: electronic circuit design, theoretical physics and mathematics, solar energy, iPhone app development, weight lifting, and martial arts. Get to know the rest of the Simulations Plus family!